Hey there readers, it’s time again for another real werewolf tale. If you are a long time reader then you know the deal, if you’re new here then let me explain real quick. 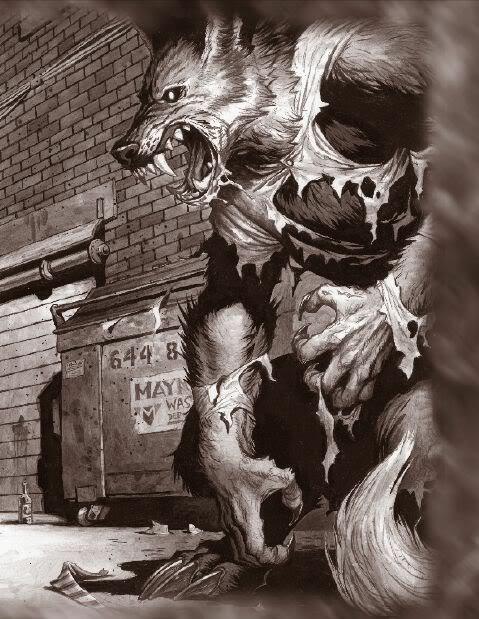 There have been countless cases of lycanthropy reported all throughout history; some of these stories are super old, while others surprisingly recent. Today I have one newer story for you boys and gals. The shocking story is of a werewolf occurrence that happened in 1988, yeah that recent. It happened in the small German town Wittlich. It is believed in this town that the very last of the werewolves was killed there. They even have a shrine outside of town where a candle always burns. The legend says that if the candle’s flame ever goes out the werewolf will return. One night a group of security police officers were on the way to their post at Morbach when they passed the werewolf shrine and saw that the flame had gone out. They of course joked about the legendary monster, not believing the old myths for a second. Bad move on their part. Later that same night the alarms went off on one of the fence-line sensors. When security went out to investigate what caused the sensor to go off what they found was a massively huge “dog-like” animal that was standing up on its back legs. This beast looked at the men and then jumped over the 7 ½ foot chain-link fence, quickly escaping. One of the military working dogs was brought to the location where the beast was seen. The poor dog went crazy with fear and refused to track the monstrous beast. Was it a real werewolf? Or was it simply the overactive imagination of exhausted security officers with heads full of ancient werewolf tales? I’ll let you decide dear readers.